Auburn University’s STEM Summer Bridge Program received the 2018 Inspiring Programs in STEM Award from INSIGHT Into Diversity magazine, the largest and oldest diversity and inclusion publication in higher education. The Inspiring Programs in STEM Award honors colleges and universities that encourage and assist students from underrepresented groups to enter the fields of science, technology, engineering and mathematics, or STEM. Auburn will be featured, along with 77 other recipients, in the September 2018 issue of INSIGHT Into Diversity magazine. 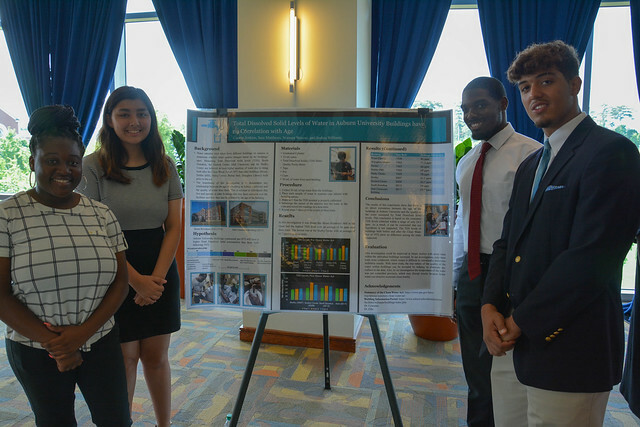 “The STEM Summer Bridge Program is an excellent example of how the College of Sciences and Mathematics creates an environment reflective of diverse cultures and backgrounds with opportunities for all students to excel,” said College of Sciences and Mathematics Dean Nicholas Giordano. Facilitated by the Office of Inclusion, Equity and Diversity in Auburn’s College of Sciences and Mathematics, the STEM Summer Bridge Program provides opportunities for incoming freshmen to enhance their science and math skills; develop and improve critical thinking and analytical thinking skills; engage in professional development and career awareness activities; and network with faculty, staff and students. The program also helps students increase cultural competencies and challenge their personal biases. Since the program’s inception in 1997, 500 students have participated, and those who have completed the program have gone on to medical, pharmacy and graduate schools. “This program provides students with hands-on experiences to explore different STEM-based careers, thrive in a collaborative environment, attend off-campus learning trips and ultimately become Dr. Overtoun Jenda scholars with support throughout their education at Auburn University,” said Kimberly X. Mulligan, director of the college’s Office of Inclusion, Equity and Diversity. Auburn’s STEM Summer Bridge Program was selected for the Inspiring Programs in STEM Award based on its mission of inspiring and encouraging a new generation of young people to consider careers in STEM through mentoring, teaching, research and successful programs and initiatives. 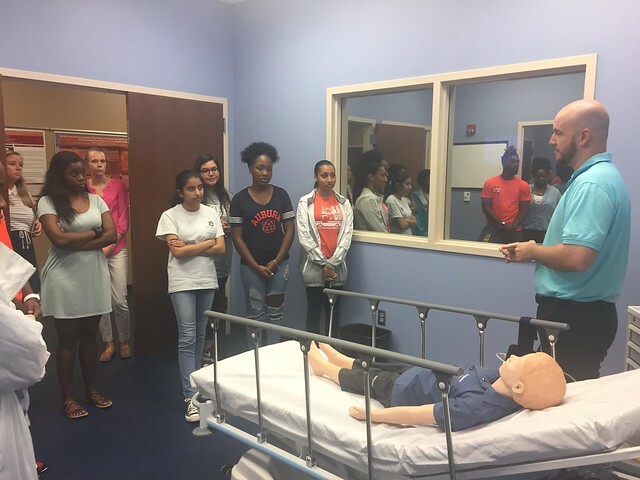 Auburn University STEM Summer Bridge participants learn patient-centric care at the Edward Via College of Osteopathic Medicine. 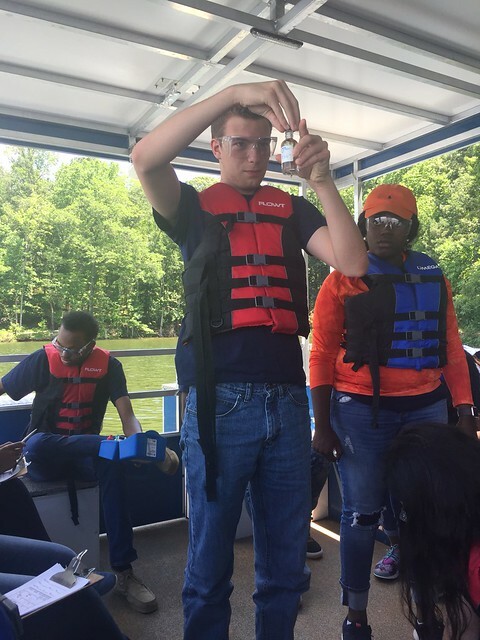 Students Leo Burdett and Vaniya Davis conduct field work analyzing water quality samples during Auburn's STEM Summer Bridge program. Students Catoria Jenkins, Sara Matthews, Norman Weaver and Joshua Williams share their projects at the STEM Summer Bridge brunch, showcasing their work to parents and faculty members from both Auburn's College of Sciences and Mathematics and the Samuel Ginn College of Engineering.